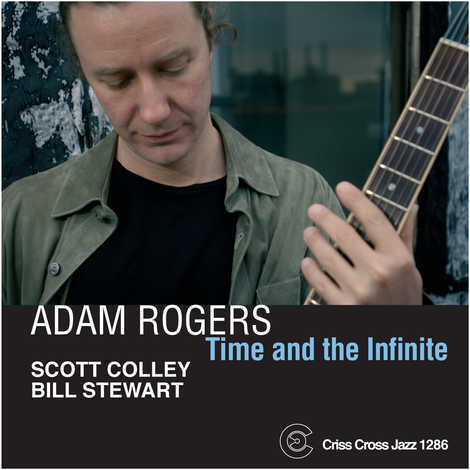 Embarking on his fourth project for Criss Cross, guitarist Adam Rogers departs from the quartet and quintet formats he explored on prior outings. This time his preference is a pared-down yet equally involved trio session. 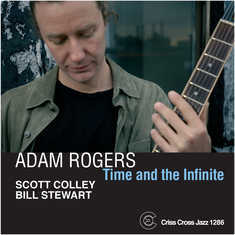 The fluid, virtuosic bass playing of Scott Colley, who has appeared on every Rogers-led session to date, provides aesthetic continuity. On drums is the sought-after Bill Stewart, an incisive and unpredictable musician who has graced Criss Cross sessions by Rogers's fellow guitarists Peter Bernstein, Jesse Van Ruller and Jonathan Kreisberg. Time and the Infinite includes such standards as 'Without a Song' , 'I Loves You, Porgy' , 'Night and Day' and 'Young and Foolish' . Rogers preserves the integrity of these timeless melodies even as he mines them for new harmonic and formal insights. Playing both electric and acoustic guitars, Rogers also premieres four original compositions. In all, Time and the Infinite is an exciting new statement from one of modern Jazz's major talents.